This year is looking like a stellar vintage for many winegrowers in the Okanagan. A warm summer has lead to reports of excellent phenolic ripeness and great natural acidity. BUY BC! This week I attended a rather unique tasting lead by Master of Wine Rhys Pender for the British Columbia Wine Institute. 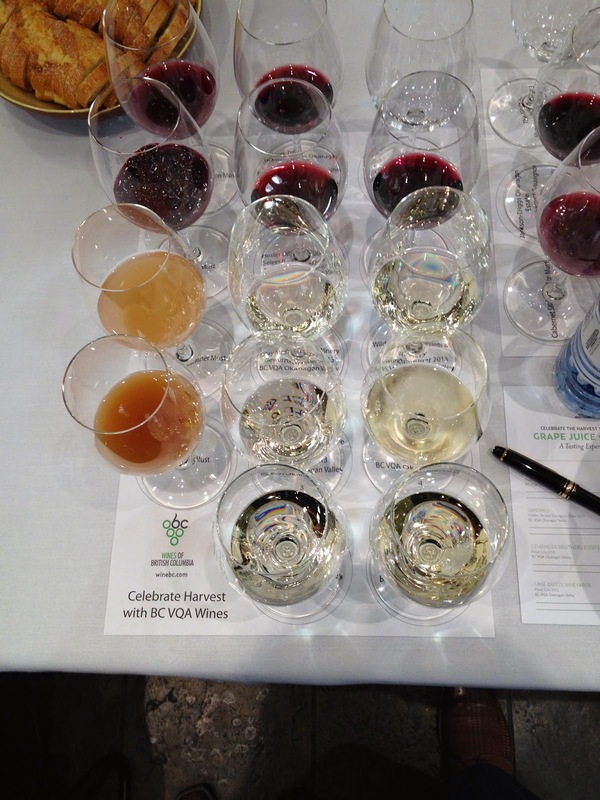 The tasting included 2014 musts, the intermediate bridge between grape juice and wine, along with examples of 2012 and 2013 vintages that are a BCLDB focus promotion for the month of October. Along with my colleagues it was a rare treat to taste musts for Pinot Gris, Gewürztraminer, Merlot, and Cabernet as well as surmise their finished fate. Rhys Pender, winemaker and owner of Little Farm Winery, as well as an MW; lead the seminar on winemaking basics in the Okanagan and discussion of the flights of wine. He stated an interesting and overlooked fact that Canada has one of the few iconic wine styles that represent a country “Ice Wine”. Rhys also discussed Canada as a “cool climate” wine country despite having extremely warm and cool microclimates throughout the Okanagan, The Islands, and Fraser Valley. Time for a re-think of BC’s regions and classifications? 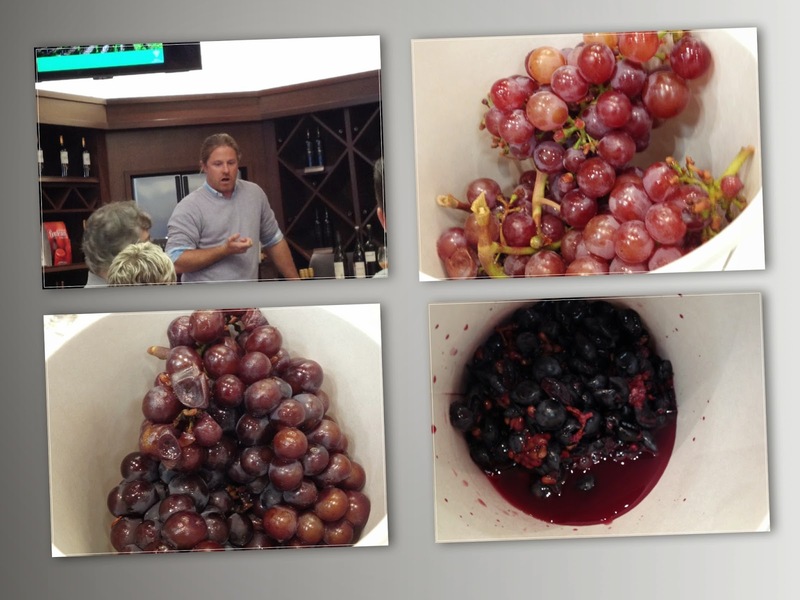 What I found fascinating was the tasting of the musts and freshly picked grapes. They were in various stages of change from juice to partial fermentation, cloudy, and full of organic matter. Pinot Gris must | Cloudy and grapefruit/orange juice mix in colour. Aromatic but not noticeably Pinot Gris in flavour and aroma. Gewurztraminer must | Less cloudy than Pinot Gris, pink grapefruit juice colour. Subtle lychee aromas and flavours. Noticeable varietal flavour profile. Merlot must | vivid purple black colour with flavours and aromas of plum, blueberry, and cocoa. Sweet and full of particulate matter. Cabernet Sauvignon must | violet purple colour with aromas of cassis and red berries. Lighter than the merlot must. Throughout October, the BCLDB is promoting British Columbia wines, here are my notes on the ten I tasted being featured in various retail locations. Straw green with lychee and subtle rose aromas. Medium-bodied, relatively dry, with ginger and subtle lychee notes. 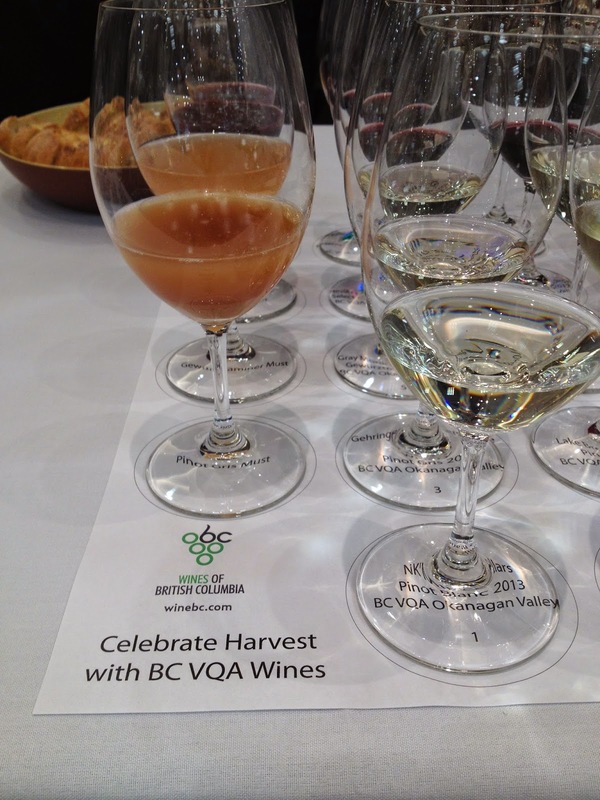 Looking for more information on the wines of British Columbia? Click here for the BC Wine Institute website.